After taking a look at Marvel's 4 remaining Phase 2 films, it became painfully obvious that the editorial necessitated a companion piece examining Phase 3, which kicks off July 31, 2015 with Edgar Wright's Ant-Man. Despite no announcements on the rest of the Phase 3 films, we actually have a pretty sizable trail of bread crumbs to follow to begin to uncover what Marvel has in store. Edgar Wright will have worked on Ant-Man for nearly a decade by the time it hits theaters on July 31, 2015 as the first of Marvel Studio's Phase 3 films. Pre-production is in high gear right now with filming expected to begin sometime in early spring of 2014. Rumors have Wright and Marvel close to casting the lead roles of Hank Pym and Janet Van Dyne. We really know very little about Ant-Man at this point. The script has certainly evolved over time and adapted to fit into the MCU which was constructed without Hank Pym being a part of it which is quite the opposite of the comic universe. The most common rumor associated with Wright's film is that it will feature two Ant-Men: Pym and Scott Lang, an electronics expert turned criminal who, in the comics, stole the Ant-Man suit from Pym in order to help save his sick daughter. Despite the fact that it would introduce two different versions of the same character into the MCU, I'm not entirely sure it would be that bad of an option. Pym has had several different identities in his time in the comics and is arguably more valuable as a scientific genius than he is as Ant-Man or Yellowjacket, especially in the MCU. While we don't know who the villains(s) will be in the film, we know who it won't be: Ultron. Some fans are still outraged at the fact that Pym, the creator of Ultron in the comics, won't be responsible for creating him in the MCU. 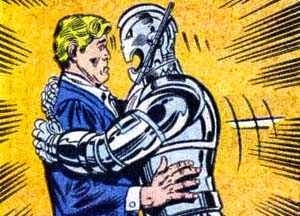 To be fair the stories that have emerged over the years have been very good andthe relationship between Pym and Ultron was full of rich Oedipal overtones; however, the focus of THIS version of Pym is not going to be his failure with Ultron. Wright has hinted that the antagonist of the film would have origins closely related to Pym's Ant-Man, following the blueprint of the Iron Man films. AIM, which showed up in Iron Man 3 (and a lot of what was filmed never made the film) and Cross Technological are two large-scale companies that might be behind whomever it is Pym finds himself up against and there are a few C-list villains that could be modified to provide a decent story. Just remember that Iron Monger certainly didn't top the list of Iron Man villains when he appeared in the original film. Much like when Iron Man kicked off Phase 1 in 2008, audiences don't really know what to expect from Ant-Man. Hopefully this film will kick start a different era for Marvel Studios and be another step in really expanding their cinematic universe. Much like with Guardians of the Galaxy, Marvel is rolling the dice with Ant-Man. 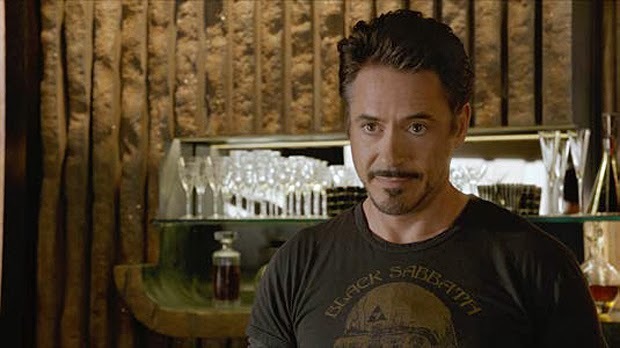 After some contentious contract discussions that seemed to threaten the continuity of the MCU, Robert Downey Jr. signed a contract to return as Tony Stark for two more films: Avengers: Age of Ultron and a third ensemble Avengers film. Superficially viewed, this is great news. Stark was the centerpiece of the Phase 1 films and will likely play the same part in Phase 2...he even acted as the front man once again, with Iron Man 3 being the first film of Phase 2. Upon closer review, however, it's hard not to notice that there was no mention of RDJ signing on for an Iron Man 4, 5 and 6, though, as Marvel boss Kevin Feige said, in an interview with Collider, those film will be made...someday...by someone. In that same interview, Feige went on to say that part of the reason they only brought Downey Jr. back for Avengers 2 and 3 was, in fact, to allow for the expansion of the MCU by adding new characters to the Avengers roster while finding a balance with continuing to explore existing characters. Ant-Man is locked in to be one of those new characters and, it seems, despite the lack of an officially announced release date, Doctor Strange is going to be another and, perhaps, the central character of the next two phases of Marvel's efforts. The absence of Tony Stark in Phases 3 and 4, which should run through 2021 and, according to Feige, are all mapped out, means that another character needs to become the central hub and marketing focus of the MCU. Since early this past summer, the front-runner to fill that role has been Doctor Strange. Marvel has been developing a script for the past 3 years and, reportedly, are very happy with the most recent version that Thomas Dean Donnelly and Joshua Oppenheimer produced. Super-duper-Latino-scooper, El Mayimbe, even began a 3-part look at the script this past June, though he has yet to deliver Part 3. 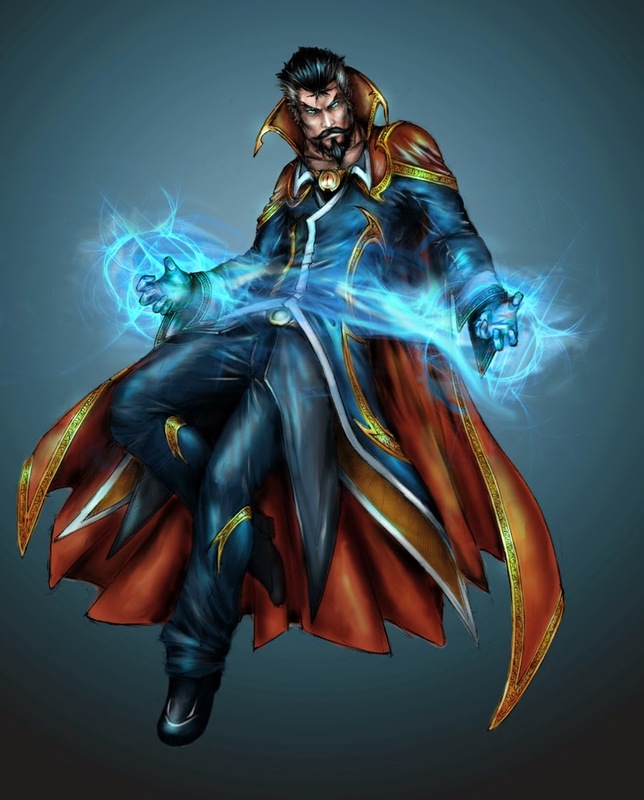 With the news that the Sorcerer Supreme would be taking on a central role it becomes increasingly important to cast just the right actor in the role. 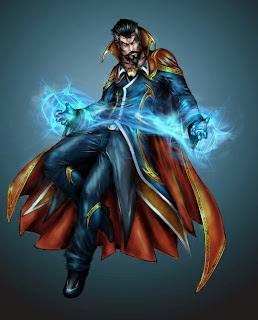 Stephen Strange is arrogant, condescending and spoiled before his accident and subsequent journey from which he emerges an entirely different man. Joseph Gordon-Levitt, whose name has come up very frequently for roles in the MCU, was considered the early front-runner for the part and is an excellent fit. If JGL does not end up in the role of Hank Pym, he is the clear choice to portray Doctor Strange. Marvel has 3 open dates on its Phase 3 slate: May 6, 2016, July 8, 2016 and May 5, 2017. If Doctor Strange is truly to be Marvel's foundation going forward, smart money would be on it landing in theaters on May 6, 2006, allowing for the character to appear in one or both of the other Phase 3 movies ahead of the likely 2018 Avengers film. Kevin Feige has spoken on the matter of finding out Phase 3 plans and has let us all know that it will be SDCC '14, at the earliest, before we find out more and that sound about right since it was at SDCC '12 that we learned about Marvel's Phase 2 films and Ant-Man. 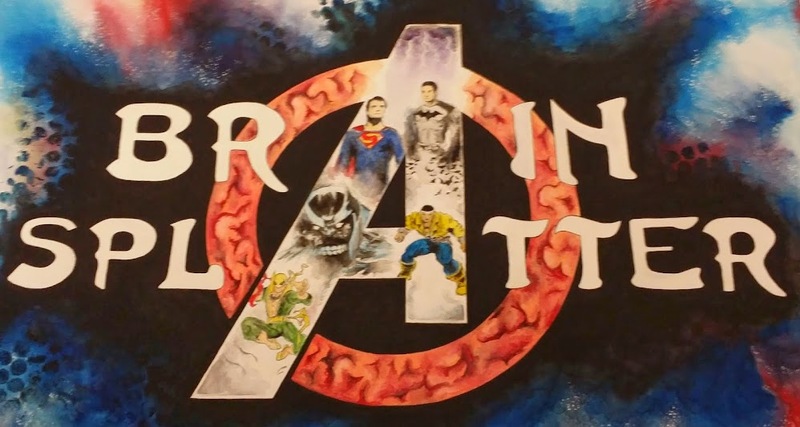 So, it's early stages, friends, but you can bet that Comic Book Brain Splatter will do our best to keep you updated on what Marvel has in store with the Doctor! Another one of Feige's long-standing wishlist films, The Inhumans, would take us back in time, introduce some more of Marvel's key Cosmic players and tie neatly into any long-term plans for a huge Avengers/Cosmic team-up film in which Thanos is finally revealed to be the figure behind all the machinations of Phases 2 and 3...and maybe 4. However, the future of an Inhumans' film may depend on the success of next summer's Guardians of the Galaxy. The Inhumans have, for a long time, existed in a very tiny corner of the Marvel universe but now, through the events of the comic cross-over, Infinity, are being brought into the spotlight and will, for the first time, be given their own on-going comic title. Nothing at Marvel, a company which may be a model for cross-brand success, is coincidence: the emergence of the Inhumans into the comic spotlight is their way of testing the waters to see if the brand is well-received. If it is, and Guardians is as successful as it seems destined to be, an Inhumans film may indeed fill up one of the 3 dates slotted for Marvel films in 2016-17. 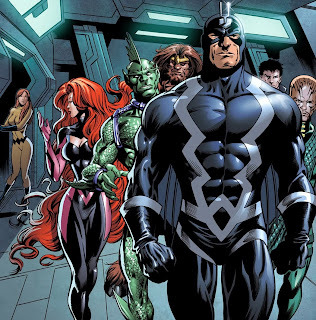 The Inhumans are an extremely diverse and extremely powerful group whose existence pre-dates any Earth-bound mutants or super-humans in the Marvel universe. Their king, Black Bolt, is among the most powerful individuals in Marvel's stable and is a strategist and mind on par with T'Challa, Reed Richards and Tony Stark. The Inhumans would make for a visually stunning film and could expand the historical perspective of the MCU more effectively than almost any other brand. They play a huge role in Jonathan Hickman's Infinity cross-over, which I'm not sure won't be used as a template for the eventual invasion of Earth by Thanos. Seeing the Inhumans on screen is not a matter of if, but when. Feige loves them because they are different...and what Feige loves typically ends up on screen. The best comic book to big screen transfer for Marvel NOW! 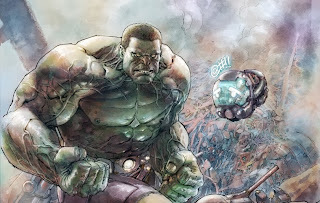 to Marvel Studios may end up being Mark Waid's The Indestructible Hulk. Historically, Hulk comics have focused on Banner eluding those out to turn him into a weapon while trying to find a cure for the gamma-induced "other guy." Waid's series takes a similar path...except it is the exact opposite. The Indestructible Hulk sees Banner use the Hulk to serve his own ends as he works for S.H.I.E.L.D. to solve large-scale problems. Basically, Banner uses S.H.I.E.L.D. for its resources and, in return, he lets them call in the Hulk when they run into a problem they can't solve. While the Ed Norton Hulk film focused on the more traditional version of the Hulk, the seeds have already been sown to show Waid's version on screen. Mark Ruffalo's take on Banner was quite different and gave the illusion that he had some modicum of control over his rage-fueled alter ego. The argument could be made that Dr. Banner was already working for S.H.I.E.L.D., in some respects, and that, for the first time on film, Banner did not need to be on the run. The creative team at Marvel Studios seem to be fans of Waid's work and it's well-known that Feige would love to give the Hulk another solo film, especially given the extremely positive response to Ruffalo's Banner and Hulk in The Avengers. Despite the fact that neither of the Hulk's solo films have been huge financial successes, there's quite a bit of hope in the Marvel camp that Ruffalo, given his performance in The Avengers, could bring audiences to the theater if given the chance to headline his own film. Don't be surprised if one of those open dates is filled with the Green Goliath and if that film ties in neatly to the third assembly of the Avengers in 2018. Regardless of what films fill the open slot for Marvel in Phase 3, one thing seems to be quite certain: several of the actors we've become comfortable with won't be in many upcoming Marvel films. While Marvel has become quite well-known for signing their actors to long-term, multi-picture deals, by the time 2018 rolls around most of those actors, including Chris Evans and Samuel L. Jackson, will have fulfilled their contractual obligations. Marvel is already looking to explore other corners of their universe and may be set to go away from the core Avengers for a while given the fact that they have plenty of other potential team-ups that may work to fill the big, summer blockbuster spot in the future. 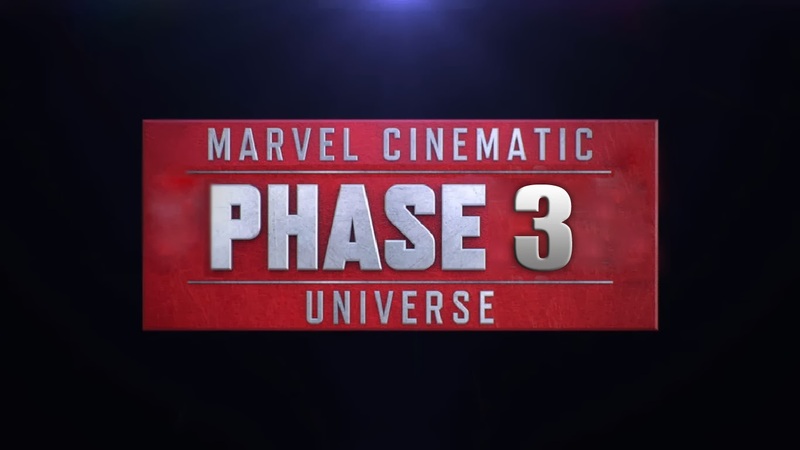 It's almost a given that Phase 3 will end with Avengers 3; it's almost impossible to forecast what Marvel plans to do beyond Phase 3. They certainly have a huge stable of characters, teams and MASSIVE crossover events from which to choose; while third Thor and Cap films seem like eventual certainties, it seems that, in 2018 and beyond, they will choose from a list of characters that does not include Iron Man, Thor and Cap. 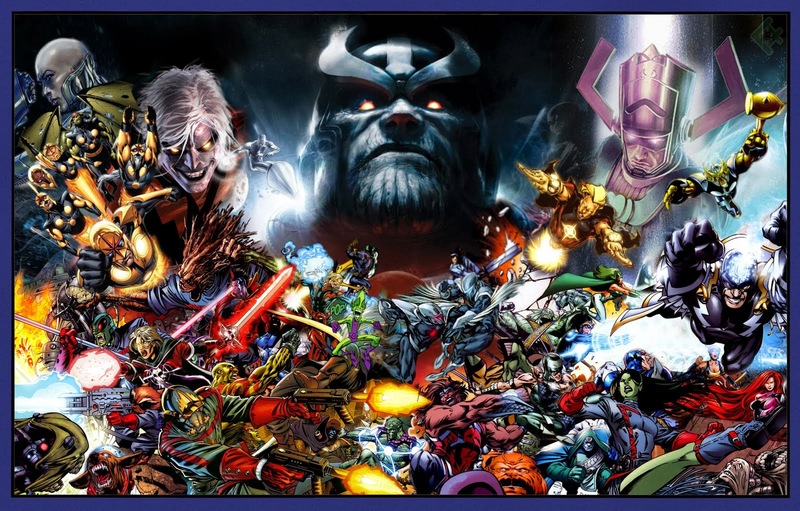 Forecasting too far into the future is an exercise in futility and, given the fact that Feige will give us much more info on Phase 3 within the next year, we shouldn't spend a whole lot of time doing so; however, you can bet that Comic Book Brain Splatter will deliver the news as it becomes available!